Sparkling wine adds a festive touch to any occasion. Though many sparkling wines are generally considered champagne, only wines that come from the Champagne region of France technically carry the name. These are classically produced using the more costly and labor-intensive methode champenoise. And while these effervescent libations aren't created equally, their storage both before and after opening follows certain guidelines to preserve their sparkly integrity and taste. What special equipment you might need can depend entirely upon how long you plan to store the wine. Decide how long you need to store your wine. A standard refrigerator can be an effective storage location for up to a month, but anything longer than that can compromise the taste. Not only can it adopt the other flavors from the odors in your fridge, fluorescent light can have an adverse effect on your wines, sparkling wines especially. This "light struck" condition makes your wine smell and taste like cardboard, so constant exposure to this type of light for long periods of time is not recommended. Opt rather for a wine cooler, which is designed for the specific needs of your wines. Set your temperature. Your wine benefits from a more constant temperature rather than one that fluctuates, which is another reason to invest in a specific wine cooler rather than using your refrigerator. 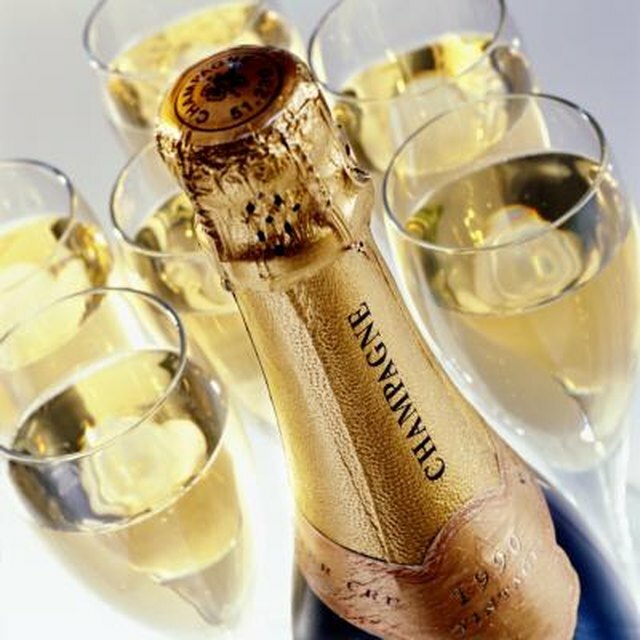 California Champagnes recommends storing your sparkling wine at 45 degrees, both for storage and to chill your wine. Always chill your wine before opening. Sparkling wine is better served cold, and chilling it in the refrigerator or cooler at roughly 45 degrees is preferred. You can also use a traditional ice bucket to chill your sparkling wine, tossing a bit of rock salt into the ice to quickly reduce the temperature to zero. Do not store your champagne or sparkling wine in the freezer for a quick chill, as the bottles can explode. Return your leftover sparkling wine to chill after it has been opened. The lower temperatures will impede any chemical reactions, such as oxidation, that will render your wine undrinkable. 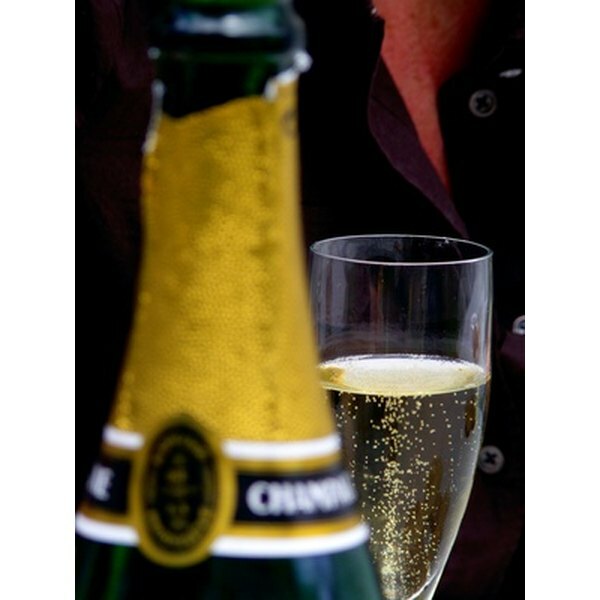 Sparkling wine differs from regular wine in that other storage methods generally do not apply. Decanting your wine or using nitrogen are unnecessary; many times just recorking your wine and placing back in your refrigerator are sufficient for short storage. Wine lovers also employ gadgets such as a pressure cap or a champagne stopper to help preserve the delightful fizz of their sparkling wines. Drink the wine within a couple of days. Once a bottle is opened, even with the gadgets listed above, the flavor and carbonation of sparkling wine cannot withstand but a few scant days without losing their zing. Avoid traditional wine stoppers. Pressure caps and champagne stoppers are designed to withstand the buildup of gases in the bottle so that they don't pop off and potentially cause injury.